UPDATES MADE! 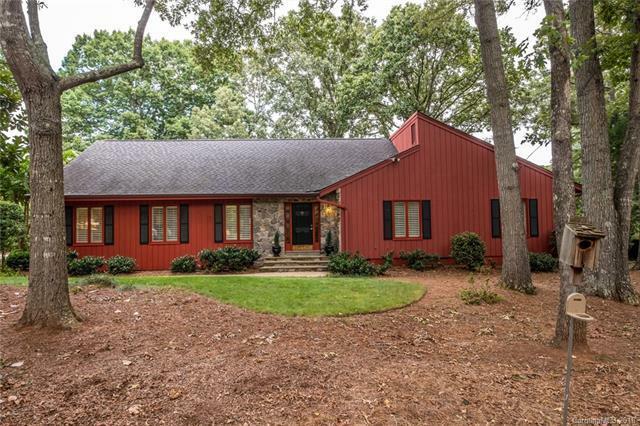 This sprawling Ranch is set back on a hard-to-find peaceful cul-de-sac! Popcorn ceilings AND wallpaper REMOVED! Interior PAINTED with a lovely neutral color! Stone surrounding front entrance is a perfect accent to this 1-story home and it carries through the Foyer and into the 2-story Den via your gas Fireplace. New light fixtures in Hall and Dining Room. Light-filled Kitchen has Breakfast Room with a view, granite counters, can lighting AND Refrigerator included! Master Bedroom has vaulted ceiling and jacuzzi tub. There are 3 additional roomy bedrooms. Entertaining and/or relaxing comes easy in your expansive Screened Porch plus Deck. Entire property landscaped & 13th hole is beyond the trees of your lovely, private, yard! Irrigation System. Large Laundry Room. Crawl Space upgraded. Termite Bond. Note: Pool and Tennis Courts included as part of Raintree Country Club membership - different levels available. Initiation Fee waived for residents!